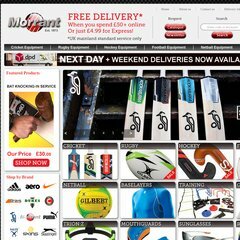 Topics: Delivery Info, Size Guide, Cricket Equipment, Special Offers, Crazy Catch, & Cricket Bags. morrant.com Adidas TechFit Seamless MC Base Layer Short Tights JUNIOR - BASE .. It is hosted by The Bunker Secure Hosting Ltd (England, Kent,) using Microsoft-IIS/7 web server. It has 2 DNS records, ns.hosteurope.com, & ns2.hosteurope.com. The programming language environment is ASP.NET. PING www. (213.129.90.43) 56(84) bytes of data. Website load time is 1240 milliseconds, slower than 58% of other measured websites. As well, a ping to the server is timed at 99.9 ms.